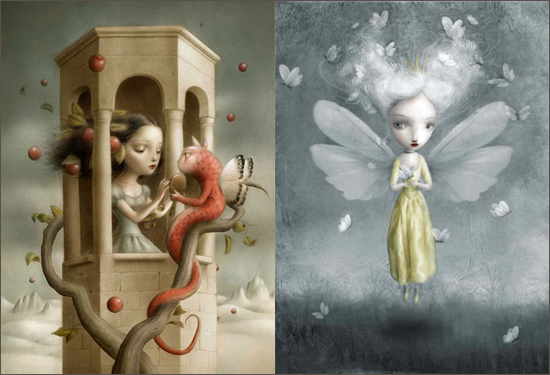 The art of Nicoletta Ceccoli is absolutely stunning, it reminds me of that of Mark Ryden. She has illustrated many books mainly in Italy, the USA and the UK. 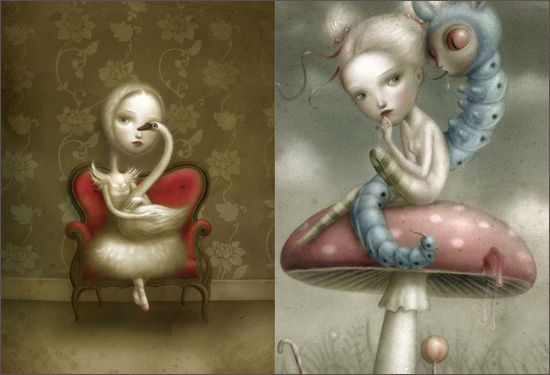 In 2001, Nicoletta was awarded with the Andersen prize as best Italian illustrator of the year. She is also a four time recipient of the award of excellence from Communication Arts. 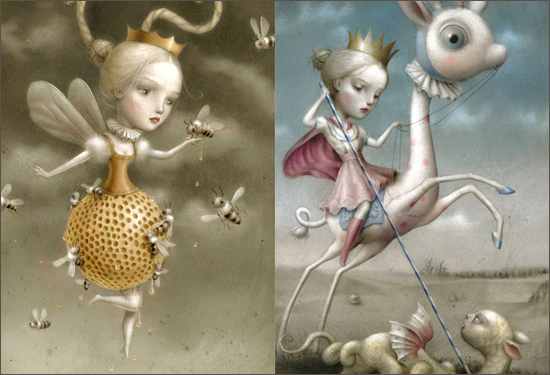 In 2006 she received the silver medal from Society of Illustrator in New York. Her art can be seen at the Copro Gallery, Santa Monica, CA from November 7 till November 28, 2009.